National Geographic is one of the longest running magazines in the entire world, being in production for over 120 years; with the first issue published in 1888. The magazine focuses on geography, history and world culture, and includes images from a variety of photographers from all around the world. There are plenty of photographers who submit work to National Geographic in the hopes of being published, and the sheer number of photographers and diversity of their photographs is immense. For each day of this year, National Geographic has showed the world a picture that they call the photo of the day. 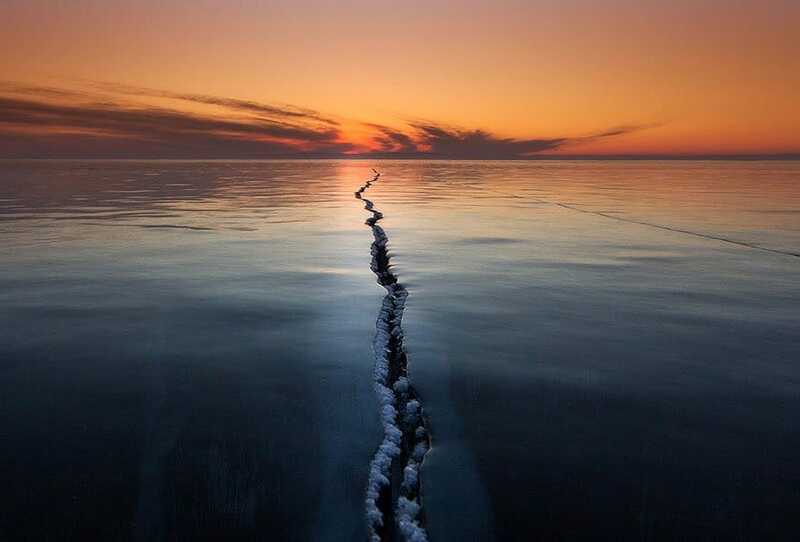 This amazing photograph, which looks photoshopped, was taken by Alexey Trofimov on a visit to Lake Baikal. The crystal-clear ice on the surface, with what seems like a thin layer of water on top, makes for a magical effect looking as if the ocean is being parted. 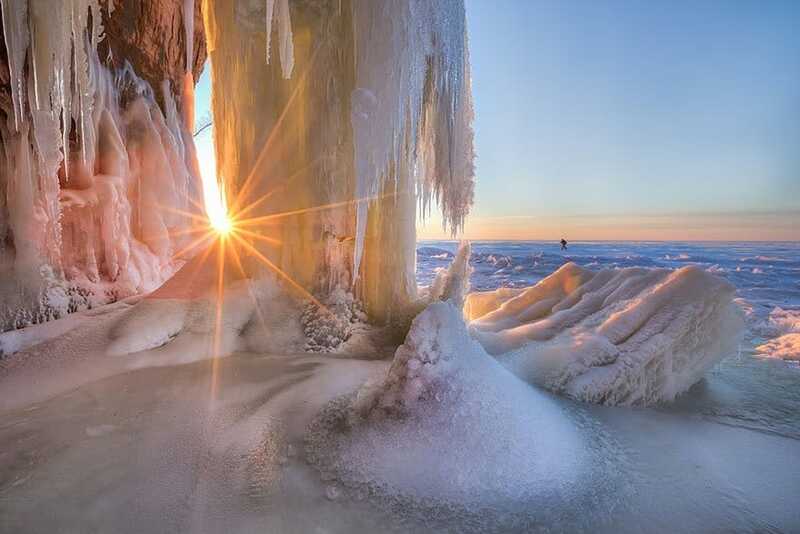 This beautiful photograph, taken by Ernie Vater, shows the setting sun shining through the ice on the shore of Lake Superior, which is the largest of the Great Lakes in North America. 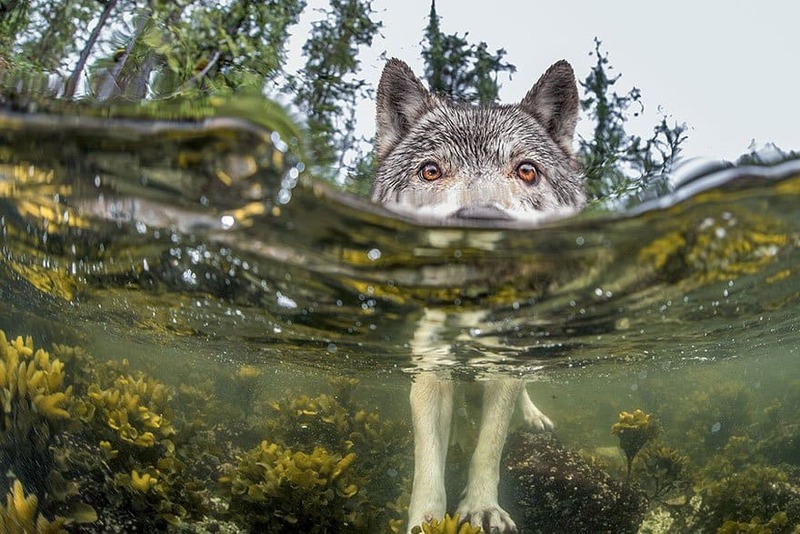 Researcher and photographer Ian McAllister took this beautiful photograph of a wolf wading through the waters on the coast of British Columbia, Canada. “All the fish in the sea,” taken by Jeff Hester, is an amazing snapshot of nature and all that goes on under the surface of our oceans. 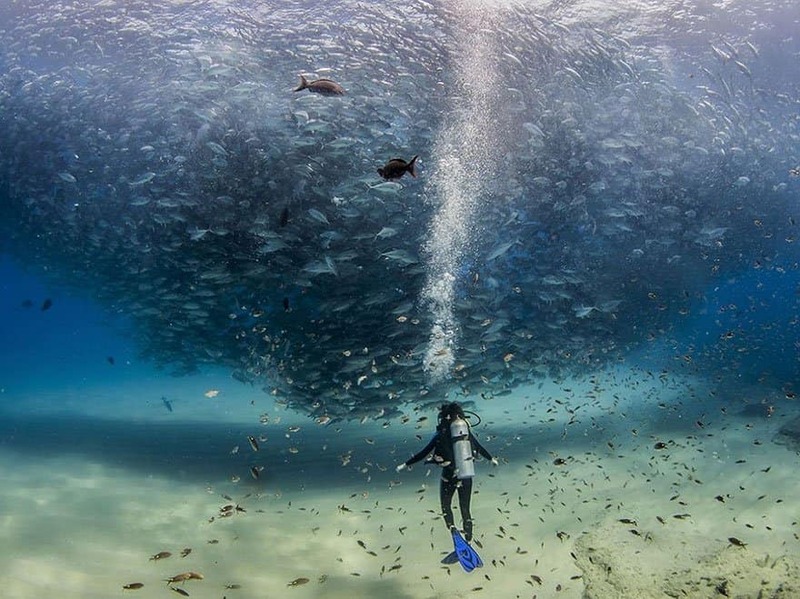 This amazing image shows how man pails in comparison to other animals that inhabit our planet, with the fish appearing as an underwater tornado. 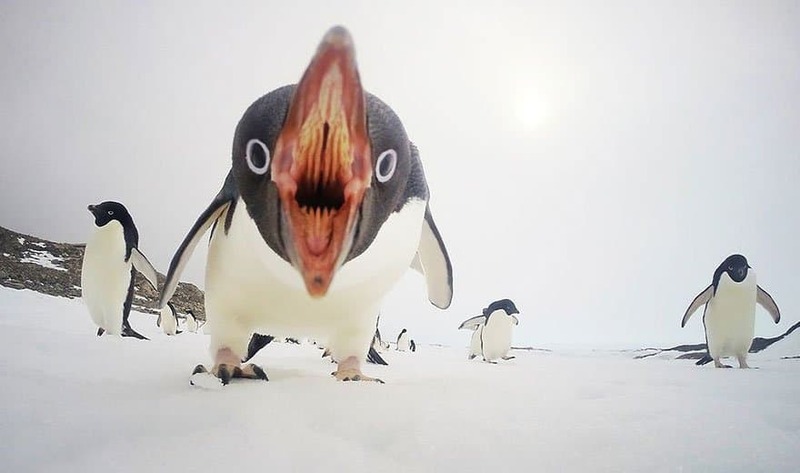 This amazing photograph taken by Clinton Berry shows the side of penguins we rarely get to see; their wild, natural side. We often view penguins as cute, fluffy birds living within the colder regions of our planet, but they are as wild as any lion or tiger. 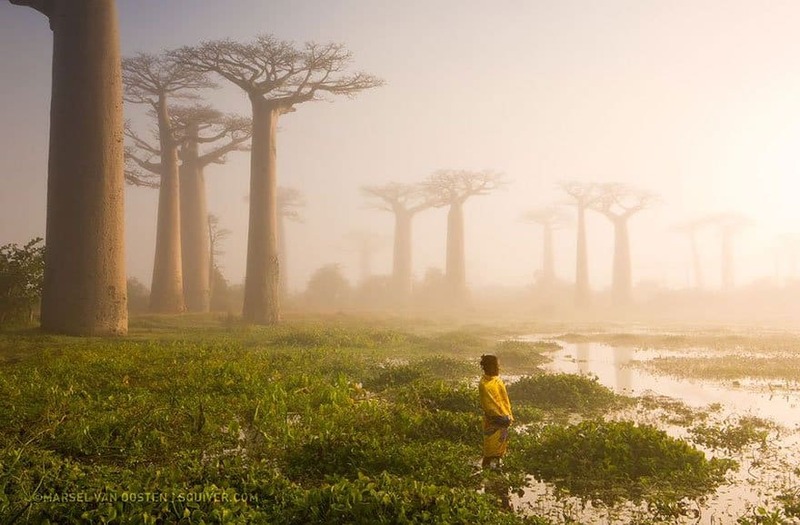 These baobab trees, found in Madagascar, are almost like something from an alien planet. They resemble little-to-nothing of trees we’re used to, thus making it appear as if this was taken from a sci-fi movie. This picture, however, was taken by Marsel Van Oosten, and has stated that these trees are over 800 years old; showing how nearly untouched landscapes can thrive without humans. 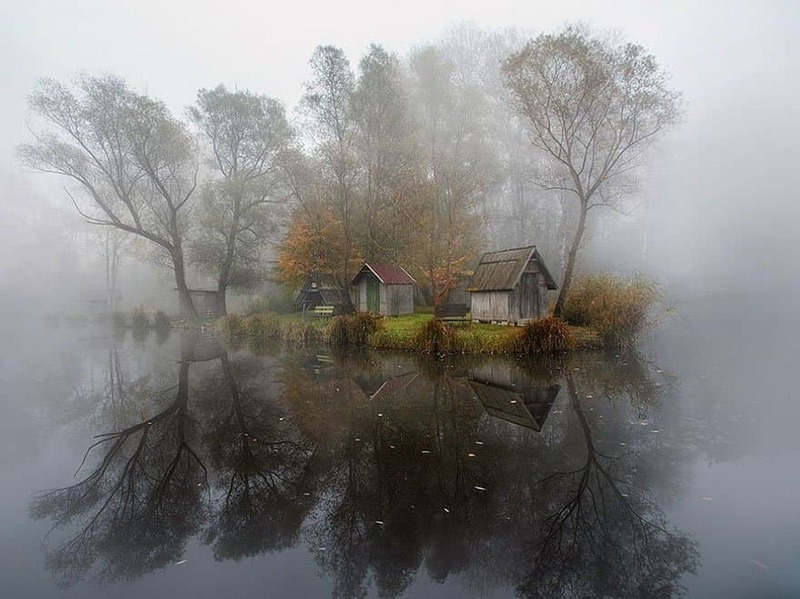 Gabor Dvornik took this gorgeous photograph of what looks like something you’d see in a fairy tale. 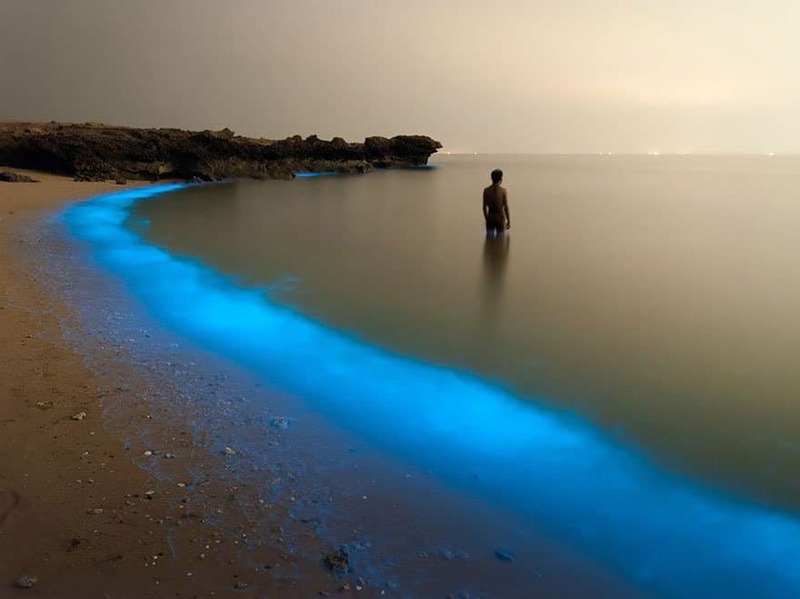 In actuality, this is located in Sződliget, Hungary, close to where the photographer lives. The way the fog envelops buildings is seemingly magical. 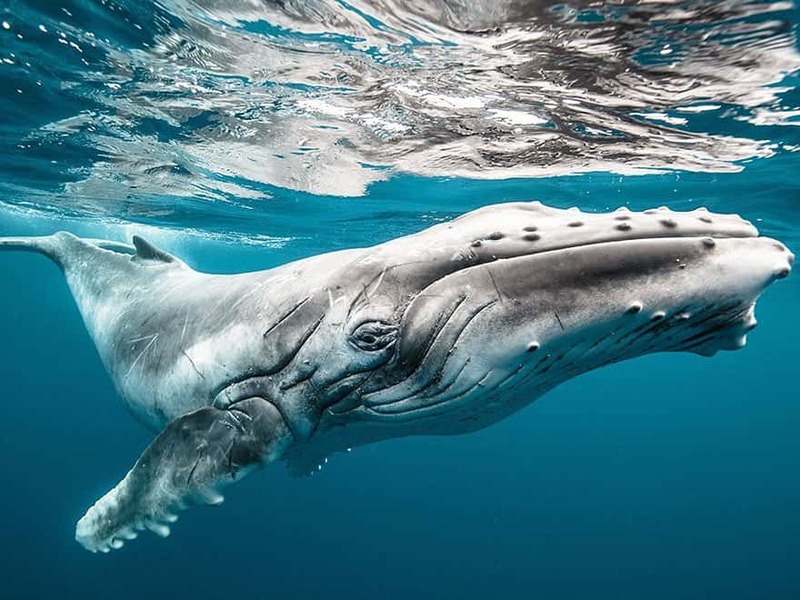 Karim Iliya took this gorgeous picture of a young Humpback Whale while diving in the waters surrounding Tonga. The calf was swimming along with its mother, and Iliya states that the baby humpback swam less than a foot from her face. Vedrana Tafra took this gorgeous shot which looks too good to be real. This looks as if it were a painting, showing the vastness of colors found within nature. 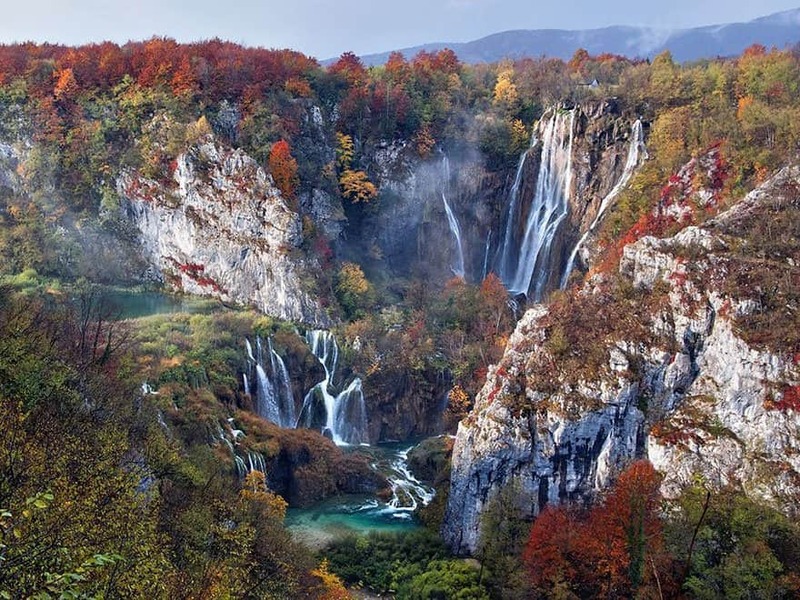 Surprisingly, though, this photograph was taken in Croatia’s Plitvice Lakes National Park in the early autumn, giving the amazing range of leaf colors we see above.